Between the Caribbean Sea and Atlantic Ocean, French West Indies evoke colourful images: coconuts, lagoons with transparent water, Creole houses and madras. 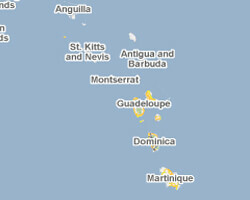 Martinique and Guadeloupe are popular destinations for French. St. Martin and St. Barts are popular with the international jet-set. At the seaside there are paradisiacal beaches lined with coconut trees. Sea view holiday rentals for all budgets await you, from studio flats to luxury villas. 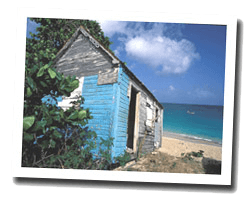 In French West Indies enjoy a seaview holiday rental. Apartment 84sqm with covered terrace, plunge pool view and the Sea. Studio flat in a residence by the beach in the neighborhood Orient Bay, close to beaches of Orient Bay, Pinel and Coconut Grove. balcony over the ocean. Shared tropical Garden. shared swimming pool. laundry. restaurant in the residence. Including household. 1 Bedroom(s), 1 double bed(s). short stays possibility. Final cleaning : included. Price from 780 € to 1800 €. Studio flat in a new residence located by the beach of Grand Case. Terrace with view of the lagoon. shared garden. Private Beach. Including household. Shared Tropical garden. Price from 900 € to 1500 €. Studio flat in a residence located in the oceanfront. balcony over the ocean. Shared tropical Garden, shared swimming pool. laundry. Including household. Price from 850 € to 1900 €. duplex Apartment in a residence located on the oceanfront. balcony over the ocean. Shared tropical Garden, shared swimming pool. laundry. Including household. Price from 930 € to 2300 €. Lovely house 4 rooms 80 sqm directly on the beach. A few steps down and you get to the turquoise waters of the sea reserve, an entirely protected site. 3 Bedroom(s), 3 double bed(s). Final cleaning : included. Villa 150 sq. m - 5 rooms - Swimming pool, Terrace, Barbecue, air conditioning. house linen provided. Located at 550 m from Baie de Saint Jean with views over the Caribbean Sea, Villa Mystique offers an outdoor swimming pool. 5 Bedroom(s), 5 double bed(s). Price from 8890 € to 15246 €.